JoSAA 2019 Registration details are now available on this web page. The interested candidates may check out the details of JoSAA 2019 Registration from here. This is the authority that allows the candidates to get the seat in the NITs, IIITs, and GFTIs in pursuing their higher level education. The candidates should note down the time to start the registration and choice filling process to get the admission for upper level education. The seat will be allotted to the candidates as per their preferred choices. Scroll down this page to get all the details. Joint Seat Allocation Authority(JoSAA) will conduct the registration and choice filling process for the candidates who passed the JEE Main or JEE Advanced examination. This is the good opportunity for the candidates who are willing to complete their higher education from the famous NITs, IITs, and GFTIs. The Ministry of Human Resources Development in the association of 97 institutions in which the seat will be allotted as per your preferred choice order. Stay tuned this web page to get the more details about JoSAA 2019 Registration and choice filling. The candidates who qualify the JEE Main or JEE Advanced may participate in the seat allocation process. The candidates need to qualify the JEE Exam to take part in the JoSAA. The main difference after qualify the JEE Main and JEE advanced is, the JEE Main qualified candidate cannot apply for the IITs whether the JEE Advanced qualify candidate can apply for IITs as well. Other options are also available such as NITs, IIITs, and GFTIs. The candidates who are going to participate in the examination should know about the important dates available over here. · The candidates can log in by using their JEE Main 2019 Roll number and password. If you participate and qualify the JEE Advanced 2019 Exam then you can use those credentials to log in. If not, then use your JEE Main exam details. · The personal details will be retrieved by the JoSAA that you fill in the JEE Main registration form. The information will present that you filled during the JEE Main registration and it required the check before you proceed to the next step for any discrepancy. · It is mandatory to change the password that you used for the JEE Exam. While setting up the new password, the candidates may set a security question. · You can also modify the contact details if you want. · After you done all changes, recheck the information and you can click on the “Submit Changes” to proceed. A list of the various courses and colleges will appear on your screen after successfully finishing registration. The choices will be available as per the eligibility of the candidates. Here eligibility of the candidates means ‘If the candidate had qualified the JEE Advanced exam then it will be eligible to make choice from all colleges available whether if the candidate only qualify the JEE Main exam then it will able to select the colleges from NITs, IIITs, and GFTIs’. The candidates should make the choices in the best-preferred order to get their desired college. After selection of choices, you must be arranged in the order. You will be to ‘Arrange filled choices’ that you had selected. Also, you will able to ‘Choice Interchange’ and ‘Choice Rearrange’. You can delete the choice if you find it irrelevant for you. The changes of courses and colleges will be updated as you save all changes. After selection of choices, you have to lock the choices in the preferred order after finishing the choice filling process by clicking on the “I agree to lock my choices”. Or if you want to make changes or modify the choices then you can choose “I will lock my choices later”. The candidates should take the printout of the preferred order of choices for future reference. You will get the printout after entering the JEE Main roll number and new password. If you are pursuing this process on behalf of JEE Advanced then you have to enter JEE Advanced password. That’s all for now. 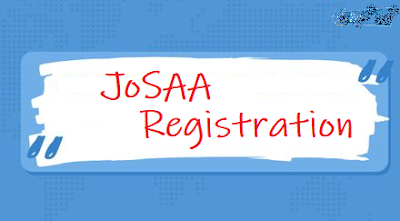 You can comment down if you have any question or doubts related JoSAA 2019 Registration and Choice filling in the comment section. You will get the suitable reply as soon as possible. Wish you good luck. Have a Nice Day!